energy, the meeting of negative with the positive, yin with the yang! Ishan Vaastu LLP. is a world renowned leader and expert in vaastu consultation with innovative approach and techniques. Our constant endeavour is to make vaastu – the science of architecture more accessible . Our expertise lies in non-destructive vaastu remedies, we integrate technology with this age old science to provide you with the best vaastu solutions. Our vaastu consultation is conducted in conjunction with the birth-date, birth-time, birthplace and the planetary position of the owner or the tenant. This principal applies both to individuals and large corporates. Rasesh Shah, an expert energy facilitator from Mumbai founded Ishan Vaastu with the intention of bringing happiness in people’s lives through vaastu shastra. Our services include vaastu for residence, office, commercial premises, rented spaces, large townships, theatres, hospitals, education institutions, industrial and turn keys projects. We believe the essence of doing vaastu for the premises is to ensure peace, harmony, prosperity, good health and happiness for all the occupants of the premises. 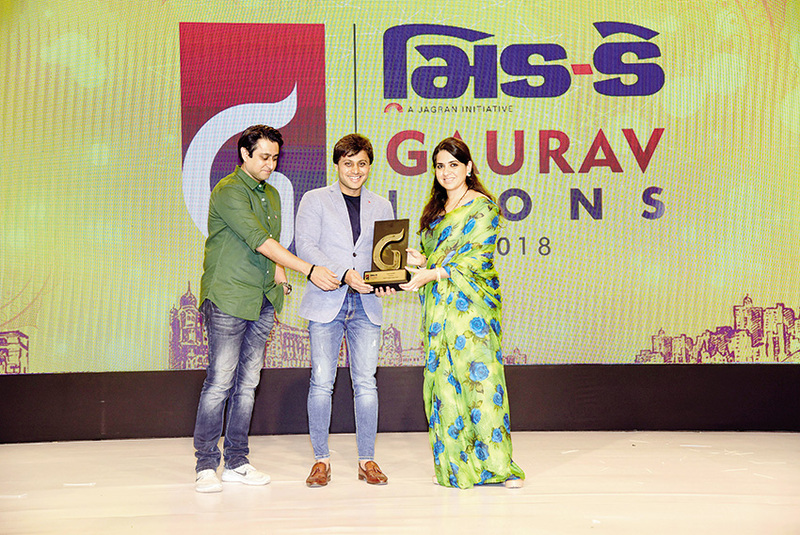 Rasesh H. Shah receiving the “Mid-day Gujarati Gaurav icon award – 2018” from Shaina NC for his contribution in the field of vaastu shastra. 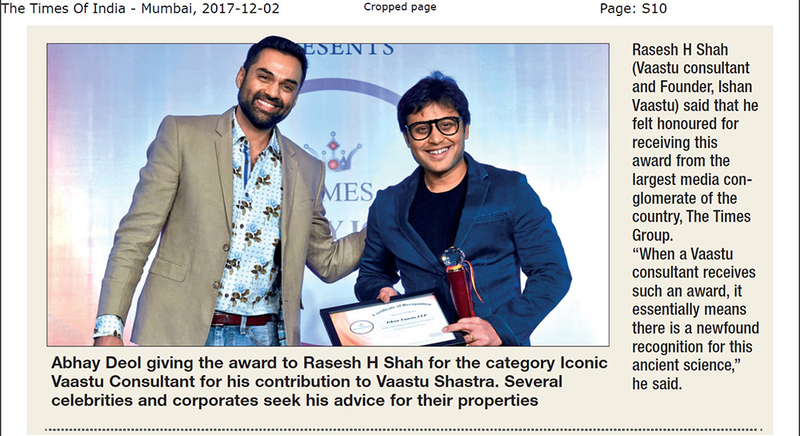 Rasesh H. Shah receiving the “Times Realty Icon award 2017”. Our new show coming soon on ASTROVAANI on Airtel DTH.